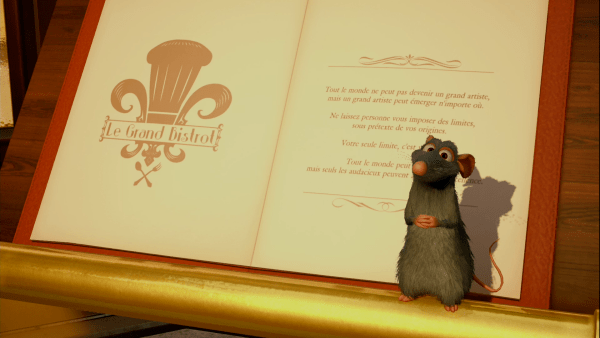 A list of all Full Course Cuisine effects in Kingdom Hearts 3, including the set of dishes to be eaten to activate them during battle. A Full Course Cuisine is a set meal that Sora can eat to activate special buffs and effects in battle, albeit only temporarily. These effects are gained by eating certain combinations of Starter, Soup, Fish, Meat and Dessert dishes available to make in the Cuisine menu. The list bellow summarizes the different effects gained for eating a full course meal. Decide carefully on which buffs you’ll need for the upcoming battle to take full advantage of this feature. This full course set grants you Firaga as a Situation Command during battle. 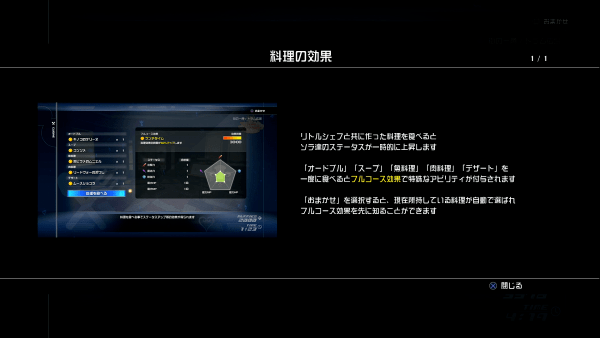 This full course set grants you Thundaga as a Situation Command during battle. This full course set grants you Aeroga as a Situation Command during battle. This full course set grants you Waterga as a Situation Command during battle. Extends the available time of executing a situation command. At the start of the battle, HP of all party members will recover. All enemy drops become Munny. EXP gain in battle increases. Increases the chance of casting an enhanced magic spell as a Situation Command. You are a liar. I ate that exact meal and got Berserk Charge. None of which by the way is the one I actually wanted. Thsee are all the recipes you need to unlock all cuisine bonuses. Once you make them you can buy them and just keep using them til you fav all bonuses you want.